Some of the prizes you can win playing baseball-themed games at Target Free Family Saturday. “Take Me Out to the Ball Game” is the theme of the next Target Free Family Saturday on May 10 from 11 a.m. to 4 p.m. at the Japanese American National Museum, 100 N. Central Ave. in Little Tokyo. 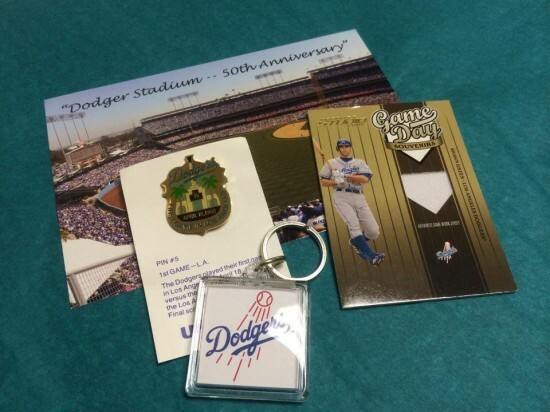 • 11:30 a.m. and 1 p.m.: Join “Dodgers: Brotherhood of the Game” curators Mark Langill (Dodgers publications editor and team historian) and Koji Steven Sakai (JANM programs manager) on a family-friendly gallery tour. Sign up early — 30 participants max. • 2 p.m.: Celebrate Asian American and Pacific Islander American Heritage Month and Mother’s Day weekend with a poetry reading about mothers, family, community, and history. In partnership with Kundiman and Kaya Press. Program will take place in the Tateuchi Democracy Forum. With “American Canyon,” Amarnath Ravva uses prose, documentary footage, and still photos to narrate a son’s love for his mother and the rituals he performs as he travels from California to the southernmost tip of India. The poems in Nicky Sa-eun Schildkraut’s “Magnetic Refrain” are driven by the fire of love, the duality of family, and the violence of history, both Korean and American. A discussion and book signing will follow. • Try your arm at baseball carnival games like Milk Can Toss. • Dust off your old (and new) baseball cards and memorabilia and bring them in to be appraised by Valley Sports Cards, Memorabilia & Picture Framing to find out what they’re worth. They will also accept submissions for Beckett Grading or Global Autograph Authentication at an additional price. See below for details. Baseball items will be available for sale. • Decorate a baseball cap to wear to your next game. • Make a baseball paper puppet to cheer for your favorite team. • At Ruthie’s Origami Corner, learn how to make a Mother’s Day card. Special event: Smithsonian Asian Pacific American Center and Flickr invite all professional and amateur photojournalists and filmmakers to participate in a nationwide event, “A Day in the Life of Asian Pacific America,” by taking photographs and shooting videos about Asian Pacific American life. Check here for details. Generously sponsored by Target, these special Saturdays are filled with fun activities giving families unique ways to learn, play, and grow together. For more information, call (213) 625-0414 or visit www.janm.org. Since 1981, Valley Sports Cards has been located at 19640 Ventura Blvd. in Tarzana, just east of Corbin. Come in for supplies and professional custom framing for your memorabilia. Single cards, complete sets, unopened boxes and packs, vintage and current cards, supplies, and custom framing — Valley Sports Cards has it all. Visit http://valleysportscards.com or call (818) 705-2255 for any questions about pricing and terms of the Beckett Grading or Global Autograph Authentication services.